The brand name Amul has many milk products under its wings like milk, cheese, sports drink but the most common and popular product is the “Amul Butter’. It was the first dairy product under the brand name and today occupies 86% of the total market share. In the last six decades, every generation has been raised on Amul Butter making it a household product. Amul became the first company that marketed butter in an international package. Made from butter, permitted natural color and common salt, Amul Butter is available in packs of 20gm, 100gm, 50gm, 500gm and 10gm. For the calorie conscious people Amul has introduced Amul Lite Butter that has low cholesterol and low fats and includes vegetable oils and CLA that helps to reduce the body fats. It is available in packs of 200gm, 100gm, and 500gm. Amul has spread its network all over India, from the remotest village to a metro city and later to the overseas market. The network “Amul Model” is based on a structure called ‘Three-tier Co-operative’. Under this, the dairy co-operative society that is at the village level is affiliated to the society at district level and this in turn to the state level federation. The collection of milk is the responsibility of village society, the procurement and the stage of processing of the district union and the marketing of products like butter is the work of state federation. Presently Amul has one hundred and seventy six unions of dairy that includes 1,25,000 societies of co-operatives with a membership of farmers that are near to thirteen million. The company has processing plants that number more than one hundred and ninety. The network for distribution includes more than fifty sales offices, five thousand wholesalers, seven lakh retailers that are spread in every nook and corner of the country. 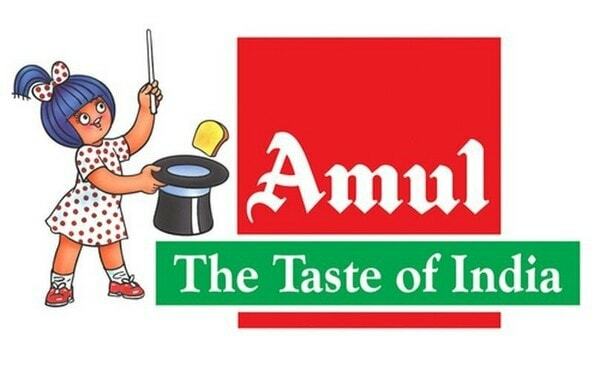 Amul is one of the leading brands of India that has successful networks in more than forty countries across the globe such as West Indies, USA, Singapore, SAARC Countries, Australia and Mauritius. Amul has adopted a fair pricing policy because its customers belong to every section of the society. The company has proposed a reasonable pricing policy. 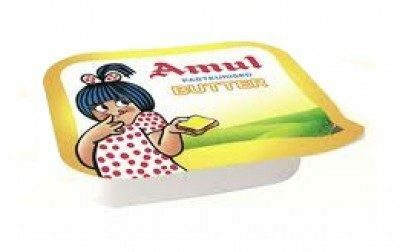 The exceptional quality of Amul Butter and Amul Lite and its rational prices has helped the brand to maintain its loyal customers through the last six decades. The prices are derived after an evaluation of the costs of milk, processing, labor, transportation, sales, promotion and taxes. Even a market analysis of the competitors’ products and their prices are done so that an average estimate can be arrived at. All these factors help in determining the actual sales price of Amul Butter.GCMMF decides on the actual prices of the products and they have adopted the low cost pricing policy to make the products affordable to all the consumers. Amul Butter has always made advertisements that are innovative as well as fresh. The ads are not limited to a particular media but has been broadcast on all types like the outdoor media including billboards and hoardings, the broadcasting media that is the television, the print media that includes magazines and newspapers, various portals and websites on the internet, even the social internet sites like Facebook and twitter. Promotional activities are also organized at various events to promote the brand name and its products. The Amul mascot has been a young girl wearing a red colored polka dot frock and singing the jingle “utterly, butterly, delicious…..Amul”. Since the year 1967, the mascot remains unchanged because it has become synonymous with the brand name. Its Tagline is “The taste of India”. Amul food festivals are organized at different retail outlets where the participants are encouraged to participate in the contest by making recipes with the help of Amul products. The winner is given vouchers of Amul products as well as cash Prices.The Company has also sponsored many TV shows like Amul Star Voice of India and Amul Music Ka Maha mukabla. All the promotions are emotionally stirring and therefore have been able to make waves in everybody’s hearts.